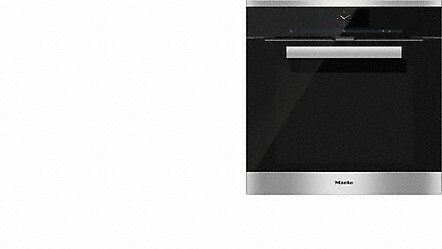 Discover the best of Miele Kitchen appliances and view there full range of features at the Kuchen Dulwich showroom. 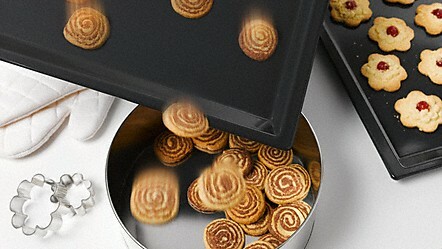 Kuchen kitchen designers have the knowledge to guide you through the Miele range of cooking appliances. Providing inspiration, advice and answers to all your questions, they’ll ensure that planning your kitchen is an experience you will enjoy. 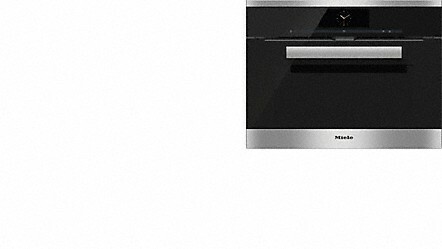 You can view and purchase the entire range of Miele appliances from Kuchen. 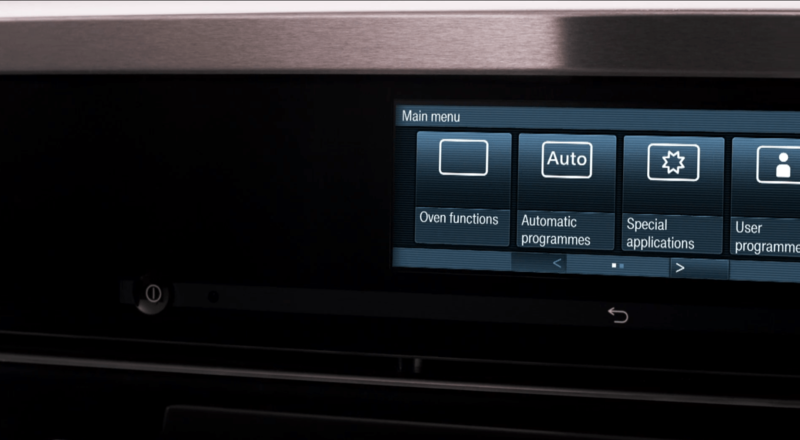 In addition to a wide range of automatic programmes, Miele also offers automatic programmes for five popular international dishes. 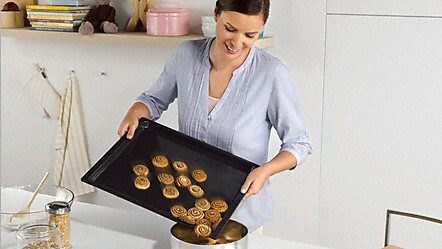 So you can bake almond macaroons and sponge cakes perfectly every time – So you can cook Yorkshire pudding or a complicated Beef Wellington perfectly every time – with guaranteed success! 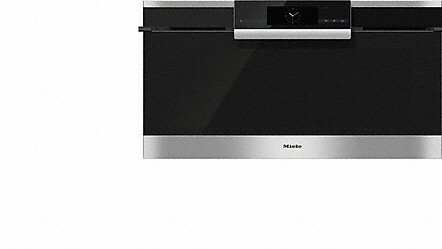 Wall ovens are installed independently of the hob and offer greater installation flexibility, for instance, they can be positioned at eye level for ultimate user convenience. Your kitchen reflects both functionality and your lifestyle, so it is very personal to you. 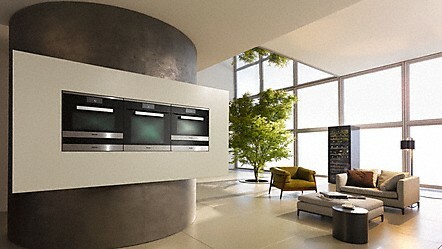 Each kitchen design is based on individual ideas and personal requirements. 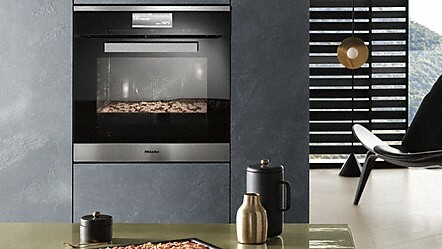 Discover the Miele range of built-in ovens – you are sure to find the appliance that meets all your needs. 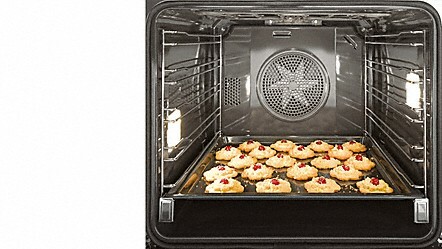 The XXL oven inner cabinet has a capacity of 90 litres and offers plenty of space for baking and roasting over three levels. The niche dimensions are 90 x 48 cm. 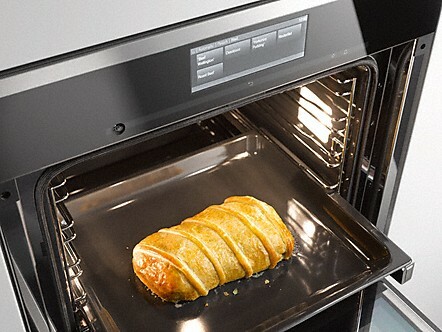 Miele ovens for 60 x 60 cm niches offer a generous 76 l cooking capacity and 5 shelf levels – plenty of room and flexibility for cooking and baking. 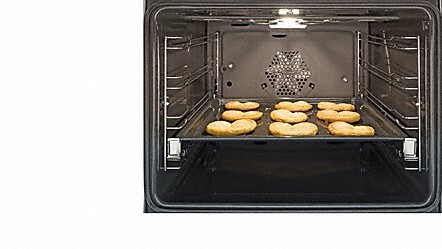 Some ComfortClass appliances with a niche size of 60 x 60 cm have a 56 l oven inner cabinet. 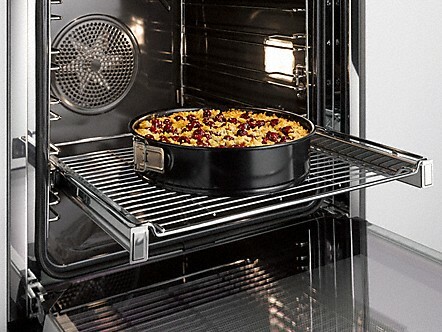 Four rack levels offer space for the optimal preparation of your dishes. 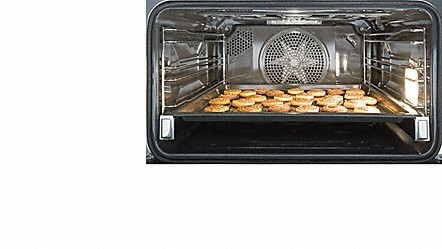 Miele ovens for a 45 x 60 cm niche offer a 49 l oven inner cabinet and three rack levels for the same size trays as the 76 l large-capacity oven. The food – simply delicious. But what about the cleaning? 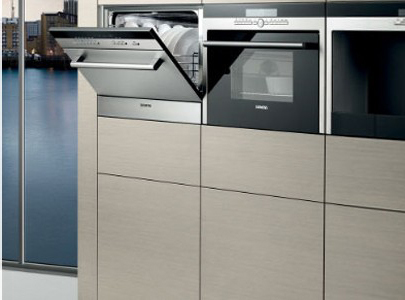 Miele offers two different options to make cleaning as easy as possible: PerfectClean and pyrolytic cleaning. 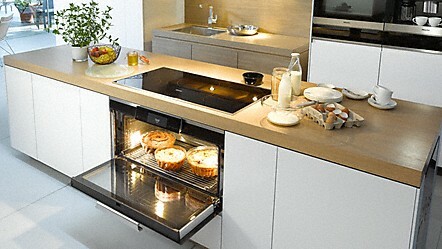 Cleaning made easy: Many components of the Miele oven, e.g. 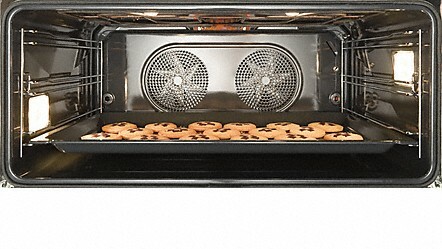 cooking compartment, baking trays and baking and roasting racks, are equipped with a patented surface finish with unique non-stick properties. 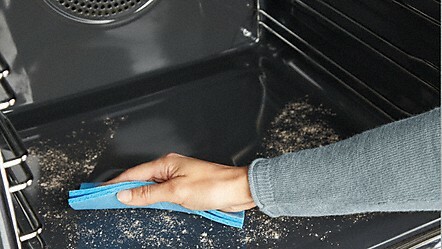 Persistent soiling is easily removed using water with a dash of washing-up liquid and a sponge. 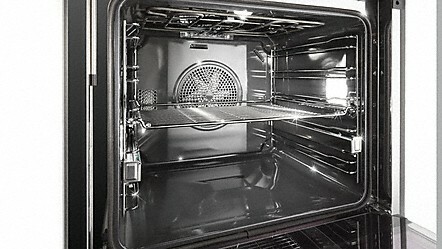 Pyrolytic cleaning is an automatic process in which residue in the oven is incinerated to ash at a very high temperature. This makes arduous scrubbing and abrasive cleaners a thing of the past. 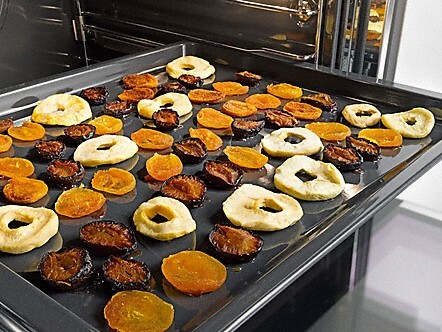 The pyrolytic self-cleaning feature turns all food residue to ash which can be easily removed from the oven surfaces without a trace. When it comes to energy consumption: As much as necessary – as little as possible.